Loughborough’s Art & Design School this month will be hosting a charity art exhibition showcasing and selling work produced during a collaborative project by students from Loughborough and Japan. Tension is a postcard exhibition featuring work by students on each pathway of Loughborough University’s Art and Design Foundation Studies course – 3D Design, Fashion and Textiles, Fine Art and Visual Communication – and a visiting group of Curatorship and Fine Art students from Joshibi University of Art and Design in Tokyo. The students will work together to curate the exhibition. All the postcards in the exhibition will be for sale, with proceeds going to a local children’s hospice charity, Rainbows. 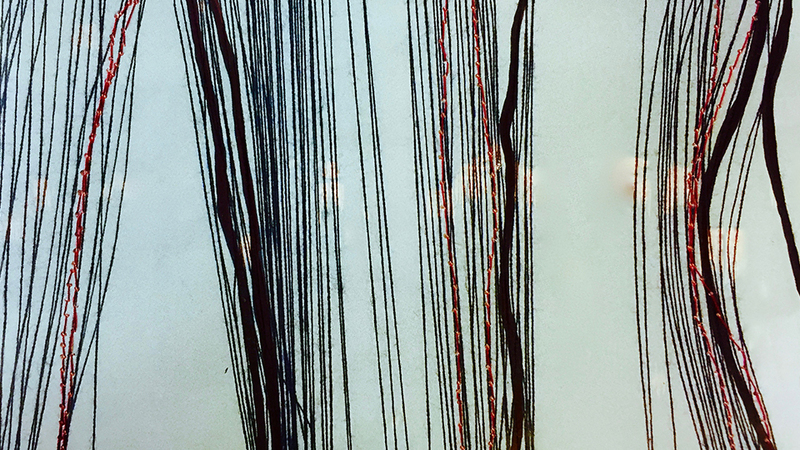 Tension will be open to the public 10am-4pm, from Tuesday 26th February until Friday 1st March in the Fine Art Gallery, based in the School of the Arts, English and Drama, Loughborough University, Epinal Way, LE11 3TU. 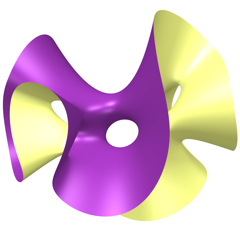 A new exhibition with a mathematical twist starts day in the Martin Hall Exhibition Space. Inspired by Geometry traces the unifying thread of geometric influence that binds together art, design, and mathematics. The exhibtion features original works by artists Jonathan Meuli and Karen Westland, together with mathematical sculptures created in a collaboration between the Department of Mathematical Sciences and Loughborough Design School. The exhibition is supported by the Loughborough University Institute of Advanced Studies and the Loughborough Design School. It runs from 14th-31st January and is open daily from 12pm-2pm. 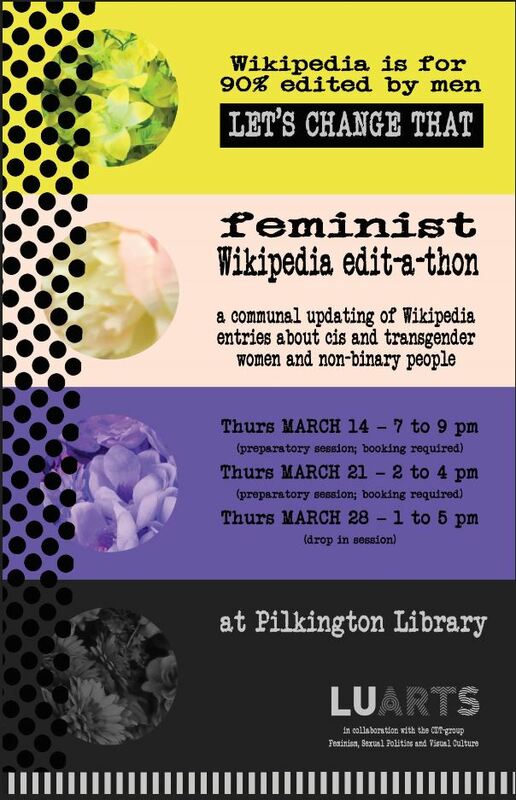 Admittance is free. 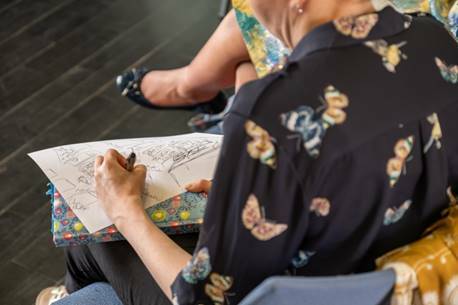 LU Arts Creative Writing evening class is back again in 2019 for another series, which is designed to hone your creative writing skills in any form. During this 10 week course, you will learn how to develop characters, utilize senses, create dialogue that will develop character and so much more. Their experienced tutor will focus on fiction but will be able to adjust course content to cover your particular writing needs! The class will run every Wednesday evening 7-9pm from 9th January until 13th March 2019. 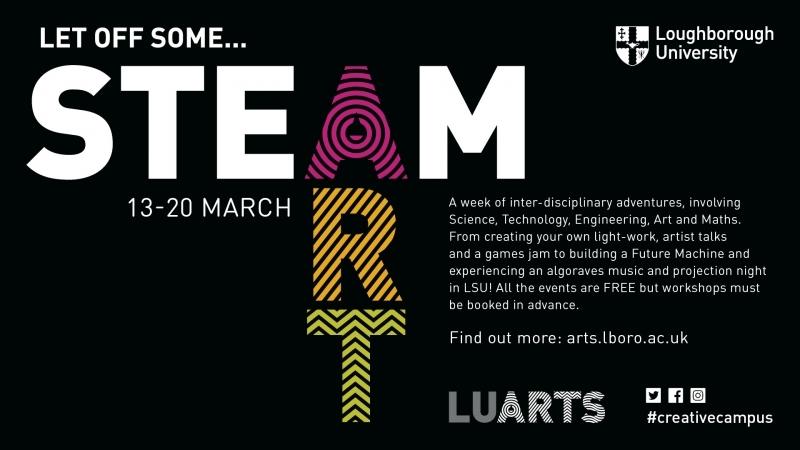 LU Arts has an exciting jam-packed week of FREE creative activities for you to get stuck in to! 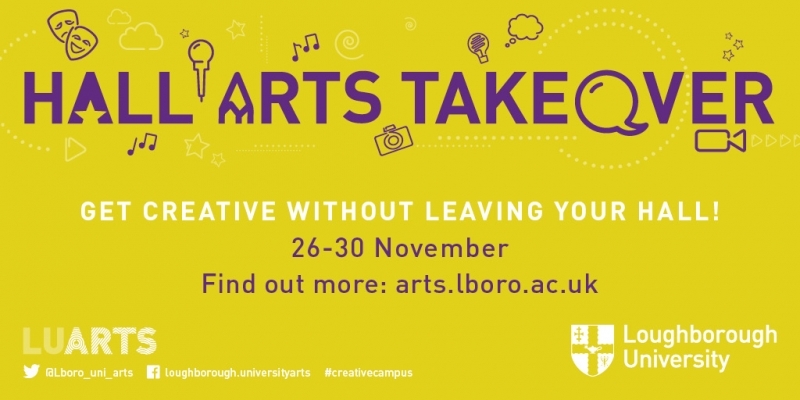 From the 26th–30th November, all halls on and off campus will have the opportunity to bring their creative flair and inspire their inner artist. With a wide variety of performances and workshops lined up over the course of a week, there is something for everyone to get involved with! 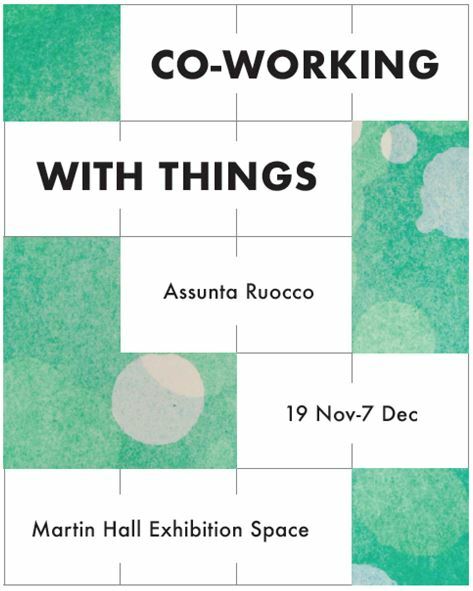 Join LU Arts for the opening of Assunta Ruocco’s ‘Co-Working with Things’ in the Martin Hall Exhibition Space on Wednesday 14th November, from 4-6pm. Wine and refreshments provided, and the artist and curator will be present to discuss the work. In 1947, artist Anni Albers urged us to consider ‘materials as our co-workers’. In so doing she invited us to develop new relationships with machines, tools, materials and working spaces. This exhibition explores how the things with which artists work can be seen as co-workers. All the artworks presented are based on simple sets of rules derived from what was possible within a particular, contingent context: working at home or in the printmaking workshop. The works are ongoing, and insist on labour intensive relationships with materials, tools and machines arranged within particular furnished spaces. 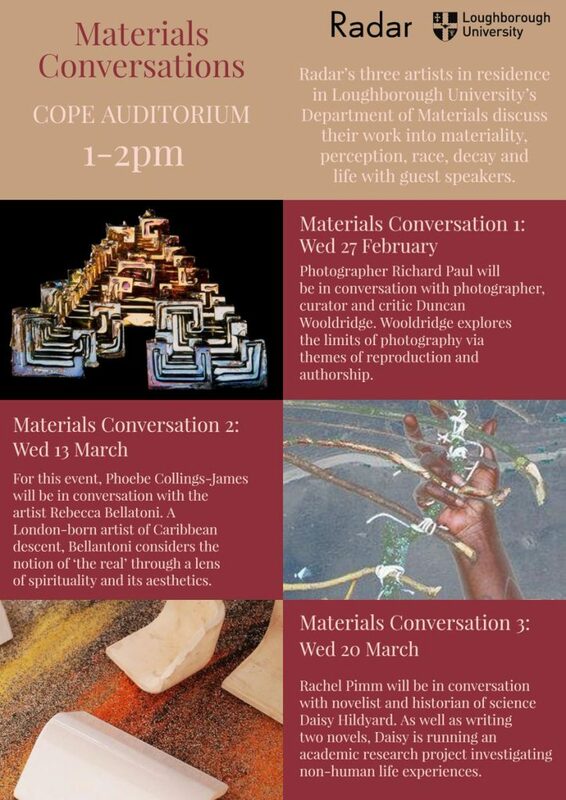 An exhibition of artistic research conducted as part of the practice-based PhD project ‘Co-working with Things. How Furnished Spaces Contribute to the Emergence of Artworks’, supervised by Gillian Whiteley and­­­­ Eleanor Morgan, within Loughborough University School of the Arts, English and Drama. All prints were produced within SAED Printmaking Workshop with the help and advice of printmaking tutor Pete Dobson. Exhibition curated by David Bell, with support from Radar­. 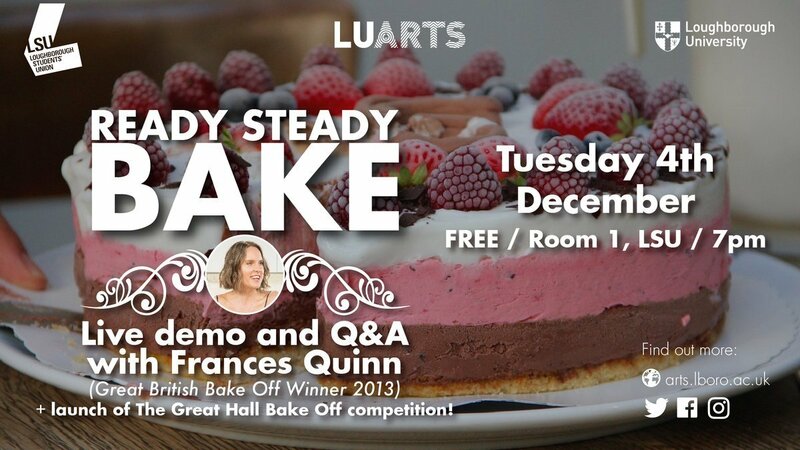 For further details visit the LU Arts website here.